If you want to improve the appearance of your smile, teeth whitening from Dr. King Scott’s office may be a good place to start. Since your smile is one of the first things other people notice about you, you’ll want to make sure it’s bright and white. 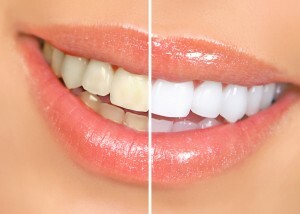 Teeth whitening is a great way to remove stains and brighten yellowed teeth. It’s also a simple way to help you appear younger instantly. Dr. King Scott uses take-home whitening systems such as Boost, Opalescence and LifeLike. At your consultation, we’ll create custom whitening trays for your teeth. Dr. King Scott will pick the right whitening gel for your smile needs. Then simply fill the trays with the professional whitening gel, wear as directed and your teeth will begin to whiten instantly! We offer take-home whitening trays because we feel they’re the best option for our patients. They’re easier than in-office teeth whitening treatments and you have more control over the color change. Also, whitening at your own house is convenient for you, there’s minimal sensitivity associated with the treatment, and you get better results than over-the-counter methods. There’s no reason why you can’t have the bright, beautiful smile of your dreams. Learn more about teeth whitening or see if it’s right for you by giving our office a call. Whiter teeth are just around the corner.